Size: 1/2 3/4, 1", 2"
These misting nozzles have PP filter inside their body. 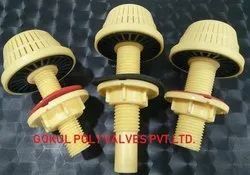 Body of nozzle is nickel plated brass and ceramic orifice is available in 0.1 , 0.15, 0.2, 0.3 mm. 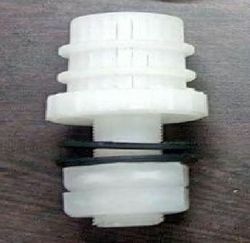 These PP Filter Nozzles are used generally used for water treatment plants. These are recognized for their features such as made from grade polypropylene, encased body-cover point gasket, highly durable, technically superior. We are instrumental in offering a quality range of Filter Press PP Nozzles (With Flange & Checknut), Adjustable Nozzles and Air Nozzles to our clients. These Plastic Nozzles are fabricated using high quality stainless steel and other raw material. Our products Plastic Nozzles are available in various grades and versions. N. M. Patel & Co.